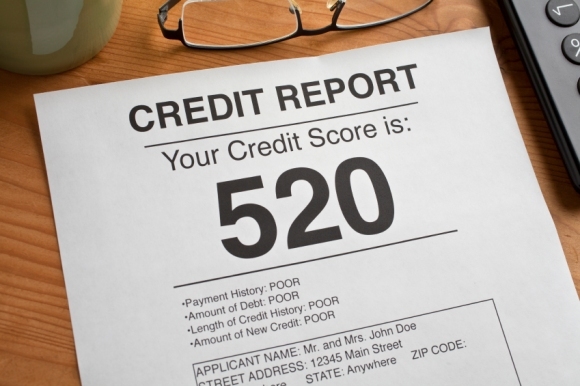 You can actually have three completely different FICO scores, one from each of the 3 major credit bureaus. The score you will receive will always fall between 300 and 850, with the higher the score, the better. Lenders who are looking at FICO scores are determining their lending risk. So, in order to make yourself attractive to financial institutions you hope to borrow money from, you need to raise your FICO score as high as you can. 1. Check your credit report! Determine how much improvement you need to make your score attractive to prospective lenders. 2. If you have overdue accounts, get them paid and keep them current. The longer you keep all your debt current, the better it will look on your credit history — this will lead to a better FICO score. 3. Settle any accounts that have gone to collections. This will help your score in the future, if not immediately. 4. Keep balances on any kind of credit card or “revolving credit” low. When you have high balances, they can be a huge detriment to your FICO score. 5. Pay off debt instead of moving it from one place to another. Paying off the debt, or lowering the amount owed, will increase your score. 6. Open new credit accounts responsibly and pay them off each month. Showing a good payment history over time will raise your FICO score. 7. Keep open accounts you already have. Closing current accounts will not help your FICO score, but keeping them paid on time will. 8. Check your credit report at least once a year, to determine how well you are doing at improving your FICO score and to make sure it is not actually getting lower. 9. Create a budget, including a payment schedule of all your debt, and stick to it. Married couples should always look at both individual’s credit scores. Settling an overdue account that has gone to collection will not remove it from your score. Know that it will remain for seven years, so you are prepared to answer questions about it. Moving debt from one card to another and closing the one card account can actually hurt your FICO Score. Making a monthly budget and sticking to it is the best way to improve your overall financial situation, which will lead to a higher FICO Score. Beware of companies stating you can get a “Free Credit Report” — normally you will get a credit report, but you will also be required to buy a service for an entire year! You can purchase your credit reports yourself for less from all 3 agencies. Watch those “Raise Your FICO Score FAST” schemes — for some they may work, but more often they backfire and actually lower your FICO Score — a “Rapid Rescore” is legitimate!